Gas prices in Western Pennsylvania increased by a little more than a penny to $2.906 per gallon, according to AAA East Central’s Gas Price Report. Four states in the Mid-Atlantic and Northeast region are 25-cents or less away from the $3/gal mark, including New York ($2.77) Pennsylvania ($2.88). West Virginia gasoline is averaging at $2.59 cents per gallon, which is about the same as one week ago. Prices have been on the rise across the country because of rising oil prices and unseasonably high demand. For another week, gasoline inventory continues to register at 63 million barrels and only saw a slight build of 98,000. Overall, the Energy Information Administration (EIA) reports inventory levels for the region have held at or above 61 million barrels since the beginning of the year. The national gas price average has increased for the sixth consecutive week, landing today’s national average at $2.61. That is 18 cents more expensive since prices started the upward trend in late-December and 3 cents more than last Monday. 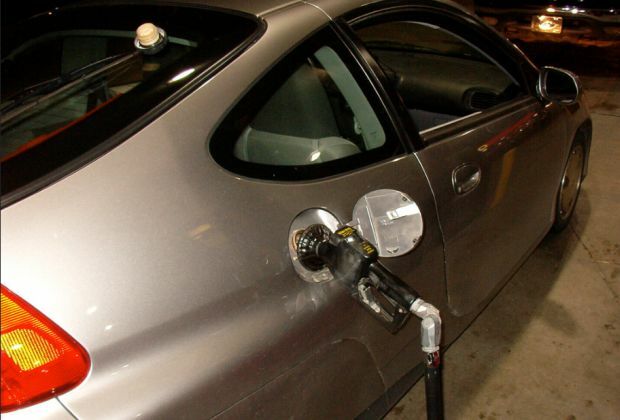 Every motorist in the country is paying more at the pump year-over-year. At 18 cents, Utah is seeing the smallest increase and California is feeling the biggest increase at 52 cents compared to the same time last year. Over the week, U.S. consumer gasoline demand hit 9 million barrels-per-day. In 2017, demand did not reach this mark until early March, according to the EIA. At the close of Friday’s formal trading session on the NYMEX, West Texas Intermediate decreased 35 cents to settle at $65.45. Last week’s losses, which were buoyed by a stronger dollar, may extend into this week after EIA’s latest weekly report revealed that crude inventories grew by an astonishing 6.8 million barrels-per-day. The crude oil growth may give the market some pause as it assesses the long-term impact of OPEC’s production reduction agreement, which remains in effect through the end of 2018. Countries outside of the agreement, such as the U.S., have seen production grow as global demand has grown, enabling these countries to export more oil while OPEC and its allies reduce production.